Perennials , 1998. Detail: Reflecting leaf pool. Perennials , 1998. View from 15th-storey. 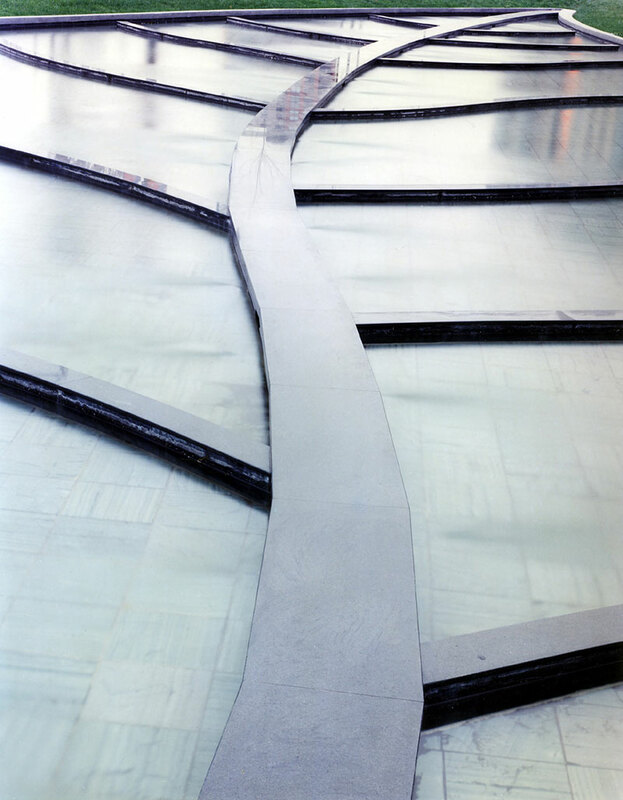 Perennials , 1998. Detail: Triple glass lamination, ceramic frit, stainless steel edge. Perennials , 1998. Night view. Shattered glass screen. A botanical metaphor for unexpected changes in natural and cultural landscapes. The concept was influenced by the return of Hong Kong to Chinese sovereignty on July 1, 1997 and its impact on Vancouver’s increased development and population at that time. 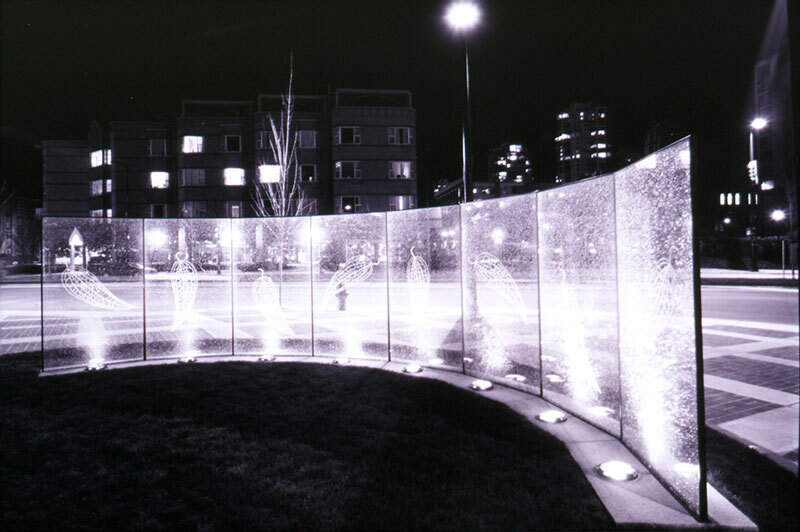 The water feature was designed for the entrance to a pedestrian mews in downtown Vancouver. The 418 m² (4,500 sq. 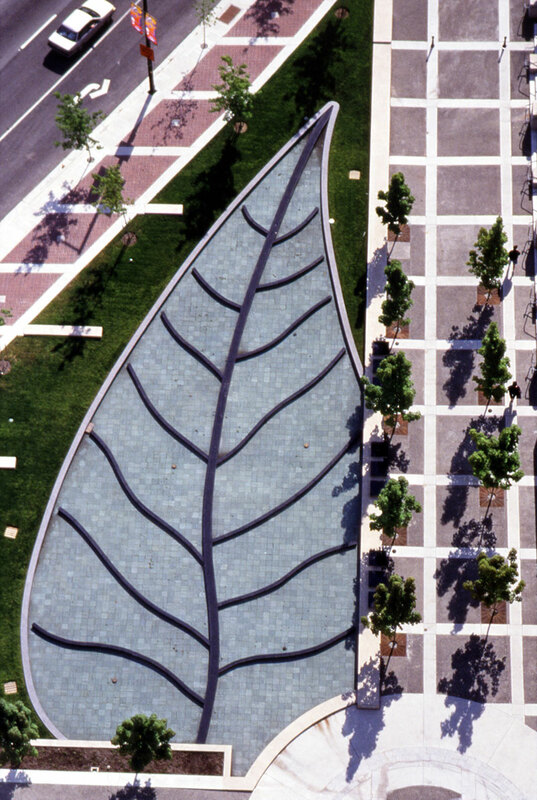 ft) reflecting pool is in the form of a leaf landing randomly on the site. 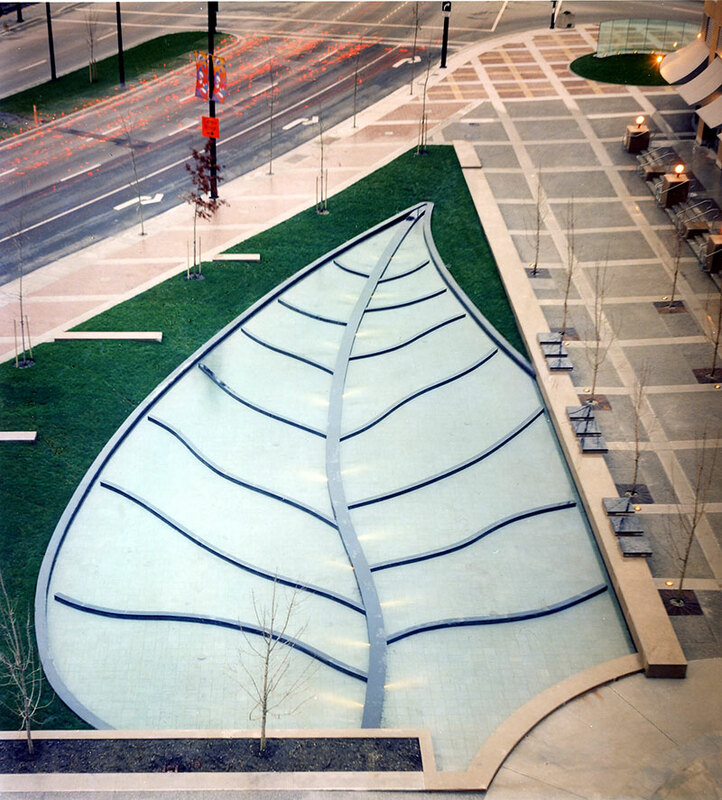 Coloured concrete, granite, slate with inset lights along each side of the leaf’s mid rib. Related elements: shattered glass screen off leaf’s tip. Screen: 243,8 cm x 975,36 cm x 6,35 cm. (8 ' x 32’ x 2.5”) Nine black granite seats with struck text. Nine seats: 60,96 cm x 60,96 cm x 6.35 cm (24” x 24” x 2”) ea. 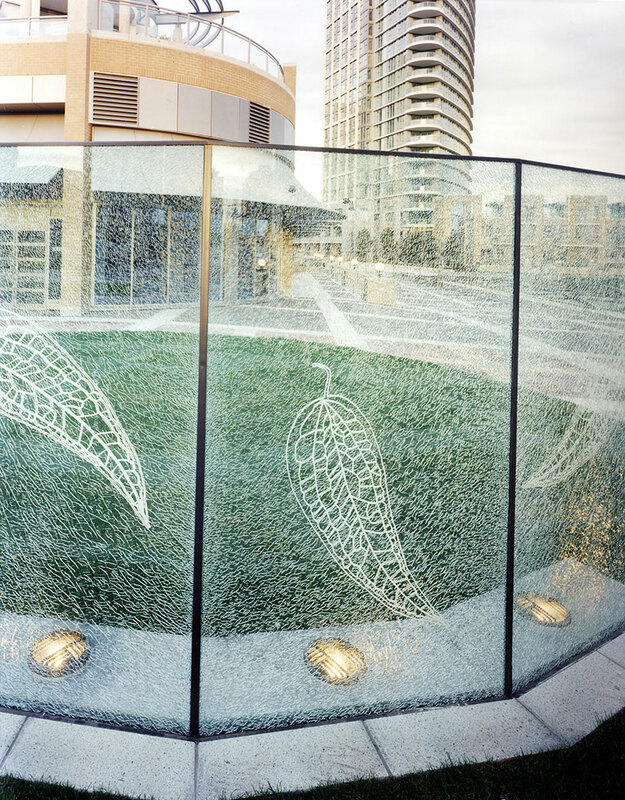 Commissioned by Concord Pacific Group Inc.